Every evening across Kenya millions of women both young and old cook for their precious families over open traditional three stone fires fueled by poorly burning wood, children coughing from the dense smoke and particulate matter that fills their homes. Black grime coats the undersides of their thatched roofs. Black Carbon is a product of incomplete combustion of fossil fuel and is the most strongly light-absorbing component of particulate matter (PM). BC is emitted directly into the atmosphere in the form of fine particles (PM2.5). Major causes of global black carbon include the burning of agricultural residue, residential cooking and heating, transportation, and industrial fossil fuel use. Black carbon is not a gas but a particulate — a component of soot emitted by the incomplete combustion of fossil fuels and biomass. Emissions from black carbon recently emerged as a major contributor to global climate change. Control of black carbon, according to many scientists — could be the fastest method of slowing global warming in the near future. Black Carbon mitigation strategies have been implemented for all of the mentioned sources, however the distribution of improved cook stoves is among the most cost effective means of mitigating global BC emissions. Replacing primitive cooking stoves with modern versions that emit far less soot could provide a much-needed stopgap. Attempts have been made at improving cook stoves since the1940s. Improved cook stove development started in India in early 1950s, but scientific development increased in 1970s and 1980s. 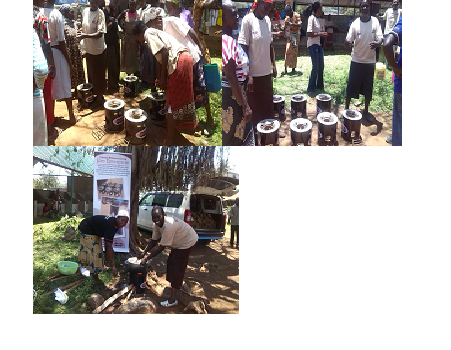 However not all households have freely accepted and appreciated the new energy efficient stoves that easily. It is evident that not all “bottom of the pyramid” products are the same. One wonders why are some products such as cell phones readily adopted by the poorest of the poor while others such as cook stoves which are so important still are not? But if black carbon is ever to be addressed on a large scale, acceptance of the new energy efficient cook stoves is crucial. With the full understanding that soot should be a top priority in fighting global warming Carbon Zero has prioritized working with local women from rural communities to implement energy efficient cook stoves to slowly cut down the level of carbon emitted in the atmosphere. This is because women have a role to play in every segment of the clean cooking value chain, and their involvement can increase project effectiveness and help scale adoption of products and services, while also impacting their livelihoods. There is a huge pay off when project developers take the time and effort to integrate women and understand gender dynamics – it can increase their bottom line, while providing health, environmental, and social impacts. Carbon Zero recognizes the contributions that women can make to achieve the sector’s health, environment, women’s empowerment, and livelihood goals. As a result the company is currently working with local women in Kisumu West to sell cook stoves to locals within the community at subsidized prices. This comes after the women were well trained in energy efficient cook stove manufacturing, facilitated to manufacture hundreds of stoves and now the stoves are being sold though at subsidized prices to the local communities. Carbon Zero has helped the women scale up stove distribution in other remote areas within Kisumu West through the women’s organized networks that have enabled reaching of vast new customer segments. The women have been facilitated to have access to hard-to-reach households, utilizing woman-to-woman marketing techniques and this is bearing fruits as the number of stoves being sold is steadily increasing day after day. Nearly one billion people will have access to electricity in Sub-Saharan Africa by 2040, but projected population growth means that 300 million people will remain in the dark, a new report finds. The Africa Energy Outlook, published last week by the International Energy Agency (IEA), highlights challenges facing Sub-Saharan Africa as it strives for economic and social improvement. 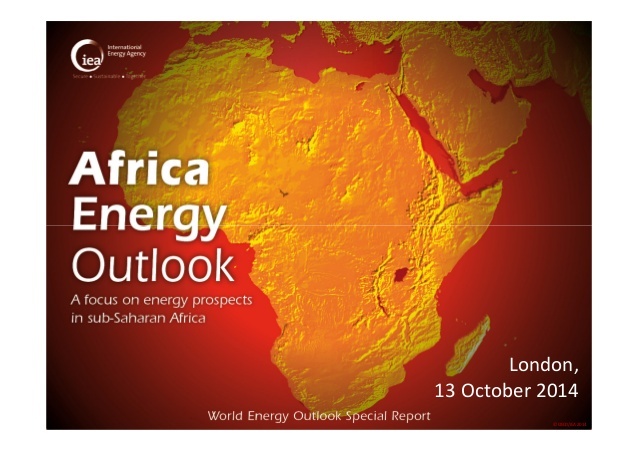 African Energy Outlook is a comprehensive collection of data on the energy sector in the region, and illustrates different potential scenarios for the future. It finds that despite the abundance of local resources such as natural gas, oil, wind, hydropower and geothermal energy, the supply infrastructure is still hugely underdeveloped and unable to meet local demand, which is set to increase by 80 per cent by 2040. The following are extracts from an interview with Maria van der Hoeven, executive director of the International Energy Agency, where she recently answered some key questions about how Sub-Saharan Africa’s energy system might evolve in the coming decades. Is energy production in Sub-Saharan Africa going to meet demand by 2040? About 13 per cent of the global population lives in Sub-Saharan Africa, consuming just 4 per cent of all energy. Importantly, local energy resources are more than sufficient to meet the population’s needs. For example, African Energy Outlook has found that the region accounts for almost 30 per cent of the world’s oil and gas reserves discovered in the past 5 years. Power generation is set to quadruple by 2040, coal supplies will increase by 50 per cent and renewable energy production will also grow significantly. However, about two-thirds of the growing investments in the region are aimed at developing resources for export. Two out of three dollars invested in Sub-Saharan Africa since 2000 have gone to produce energy for export. There is interest in the region’s extractive industry, but the real shortfall is the lack of investors ready to commit their capital to domestic energy provision. As a result, grid generation capacity continues to fall very short of domestic needs, with half of the region’s capacity located in just one country — South Africa. So despite an increase in energy capacity, the outlook for providing electricity is bittersweet. If investors diverted their capital from export to domestic provision, how would that affect the region’s economic growth? It’s not a choice between the two. Export and domestic energy supply should grow together in a more balanced manner. To do so, we can’t subtract investments from one area to benefit another. Our study found that an additional US$450 billion is needed in the power sector to enhance domestic energy supply without penalising the export market. Other than increasing investments, what actions are needed to improve Sub-Saharan Africa’s energy outlook? It is important to adopt an integrated approach to the management of revenues. For example, solar photovoltaic is a key technology to supply rural areas with electricity, but it’s not cheap. To pay for the research and development of this sector, money must come from other energy sources, primarily fossil fuels. Regional cooperation should also be improved as it is key for the development of cross-national energy systems, as in the case of large dams. Countries can have conflicting interests in the shared waters of a river, hence it is crucial to have a coordination platform in place when designing a new hydropower project. Will renewable sources be able to compete with fossil fuels in 2040? Economic growth is crucial for the future of Sub-Saharan Africa, and to achieve it there is a need to tap into the energy potential of the whole region. We find that there is a huge potential in hydropower, solar, geothermal and wind energy, but to be able to exploit that we will need revenues from the export of fossil fuels. At the moment, renewable energy can’t compete with biomass or coal, which are much cheaper and still relatively insignificant in terms of global emissions. Our study finds that in 2040, Sub-Saharan Africa will produce just 3 per cent of the global carbon dioxide emissions from the energy sector. What is the role of mini and off-grid solutions in tackling energy poverty? In urban centres, providing electricity through the grid makes more sense, because the population is very dense and it is cheaper to connect households within a relatively small area. But in more remote areas, far from existing transmission lines, the best solutions are mini and off-grid systems.These are often hybrid systems that combine fossil fuel-powered generators with solar photo-voltaic, and can make a big difference in improving the overall energy supply in Sub-Saharan Africa. The good news is that according to our best-case scenario, of the additional 230 million people gaining access to electricity in 2040, 70 per cent will be in rural areas. Africa has vast energy resources but lacks the infrastructure to meet demand. Two out of three dollars invested in Sub-Saharan Africa since 2000 have gone to produce energy for export. Investing in domestic production without sacrificing the export market will be key. African Energy Outlook finds that in 2040, Sub-Saharan Africa will produce just 3 per cent of the global carbon dioxide emissions from the energy sector. It is estimated that 70% of people in sub-Saharan Africans live without access to an electricity grid. Africa is the only continent where this percentage is expected to reach 75%-80% by 2030. In addition, Africa’s total power capacity is currently only 147 GW, according to the African Development Bank, which is equivalent to the total capacity installed in Belgium, and what China installs every one to two years. Therefore, it is obvious that there is a huge energy requirement for the whole continent in order to provide electricity to the people, reduce poverty and achieve a substantial level of economic development. Fossil fuel-based power generation is not a choice if we want to combat climate change and also is the most expensive form of energy globally. However, remains the largest source of electricity generation in Africa. An alternative and winning ground idea is off grid solar energy. In the last few years over 7 million off-grid Africans have replaced their kerosene lamps with solar lights. Africa can pursue clean energy development based on solar energy and diversify its fossil fuels dependency path. According to some environmental journalists the reasons for supporting off-grid solar energy are at least four. 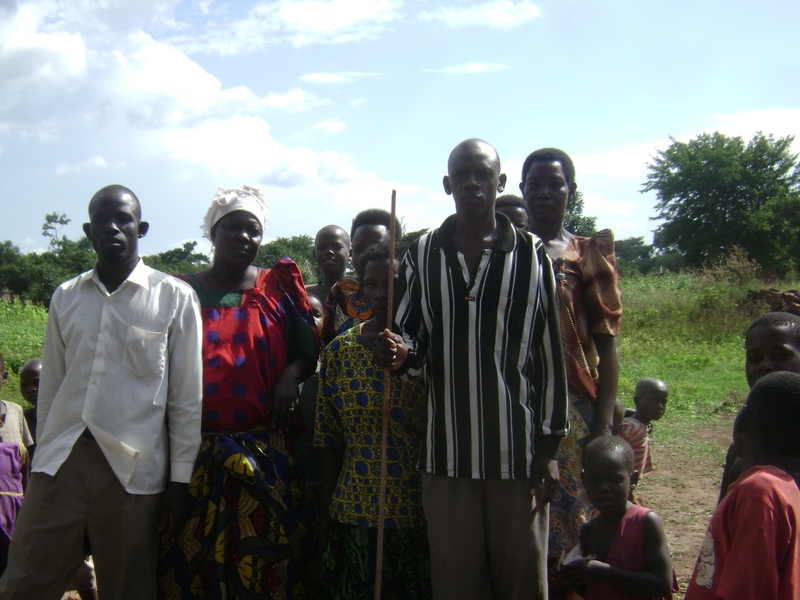 First, the savings for a family’s budget from solar light is significant. According to SolarAid, one of the organisations introducing solar lights to Africa, by replacing kerosene with solar power LED light in Tanzania, typically you can save more than a dollar a week. This is a significant amount of money for the 48 percent of the sub-Saharan people that live on less than $1.25 a day. Second, solar power can be expanded and connected. A family can get one panel and replace a kerosene lamp. With two and three panels they are able to charge a mobile phone, use radio, TV etc. In other words, the solar generation could add to a family’s life different consumer products and can also team up with a neighbor and build a small local grid. Third, the efficiency and the cost of developing solar panels. The solar light uses five to 10 times less energy than the old incandescent light. Moreover, subsidies have turned photovoltaic panels into a commodity with a rapidly falling price. What looked 10 years ago like a rich government’s game now is simply cheap and it has potentials for further technological improvement. Fourth, solar, and other renewable energy technologies do not need the hugely expensive power infrastructure required to bring the electricity generated by a nuclear reactor or a coal power block 2,000 kilometers to a poor African village. Some successful examples in the private sector are M-KOPA and Mobisol in East Africa. So far in Kenya around 744 public places in isolated areas, from health centers to schools, has been hooked up to off-grid solar power through the initiative. Five off-grid stations have been put in place and as they enjoy solid internal rate of returns (IRR) of 20 percent, the operation is being expanded to build new plants and also make existing ones bigger. I have spent the better part of this month in the field in Kaliro working on our monitoring surveys and then coordinating a Validation site visit by Gold Standard and Fair trade auditors. it has been a great time meeting with the communities and personally receiving their appreciation on behalf of co2balance. On one occasion, the community in Bukongolo followed after us during my surveys and performed a song and dance to appreciate the work that we had done. On another occasion a borehole committee chairperson offered us a chicken which served as our next day’s lunch. One thing I really enjoyed about working with them was their eagerness to contribute to the process. After being mobilized by the community leaders it was good how they all took their time to ensure the systems in place are working and working for them. When developing projects it is such a temptation to impose rules upon community partners but sustainability is achieved in having community members charting out a suitable destiny for themselves. Recently I wrote about the borehole that had remained unusable for the last 5 years, I was most glad to see this borehole, Iguliryo Nyolo, functional again. We found out during the meeting that averagely in a year 9%-13% of boreholes are none functional and this could add up to as many as 50 boreholes and potentially 20,000 households lacking water during the year. 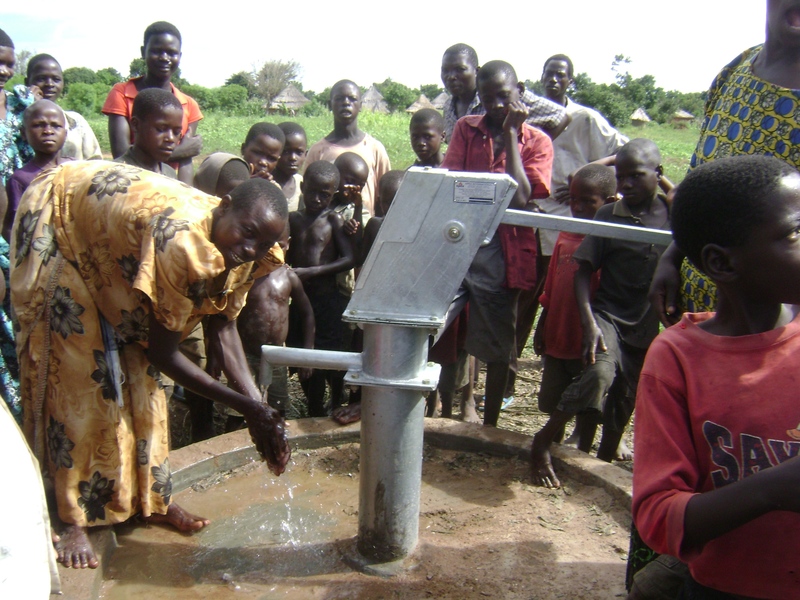 The impact of every borehole rehabilitated is felt in terms of health, security, access to water and in temporal terms each household’s ability to earn more from the available time they have at had. We also received several testimonies about how marriages are happier now as well. Each step matters and so does each hand that partners to make the lives of others better. Poverty condemns half of humanity across the globe to cook with solid fuels on inefficient stoves. Smoke in homes from these cook stoves is the fourth greatest risk factor for death and disease in the world’s poorest countries, and is linked to 1.6 million deaths per year. Yet the many have largely neglected it. Sad that women and children are most at risk from the killer in the kitchen, as they spend considerable time around the cooking fire. Reducing indoor air pollution across the developing world would contribute significantly to achieving the internationally agreed Millennium Development Goals, in particular the aim to reduce child mortality by two-thirds by 2015 first three. Globally more than a third of humanity, 2.4 billion people, burn biomass (wood, crop residues, charcoal and dung) on open fire, i.e. three stone stoves for cooking and heating. The smoke from burning these fuels on open fires turns kitchens in the world’s poorest countries into death traps. Indoor air pollution from the burning of solid fuels kills over 1.6 million people, predominately women and children, each year. This is more than three people per minute. It is a death toll almost as great as that caused by unsafe water and sanitation, and greater than that caused by malaria. Smoke in the home is one of the world’s leading child killers, claiming nearly one million children’s lives each year. The main concern with the use of crude biomass cooking stoves is their destructive influence on human welfare and natural resources. 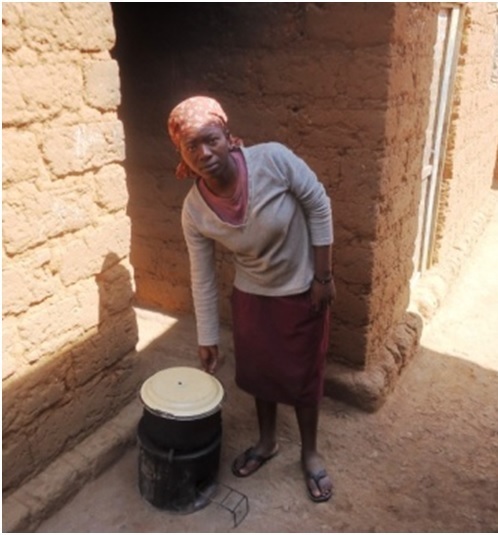 When used indoors, three stone cooking stoves lead to severe health issues such as chronic lung diseases, acute respiratory infections, cataracts, blindness, and adverse effects on pregnancy. Indoor air pollution is not an indiscriminate killer. It is the poor who rely on the lower grades of fuel and have least access to cleaner technologies. Specifically, indoor air pollution affects women and small children far more than any other sector of society. Women typically spend three to seven hours per day by the fire, exposed to smoke, often with young children nearby. On current trends an extra 200 million people worldwide will rely on biomass for their cooking and heating needs by 2030, according to the International Energy Agency. In parts of Central Asia where gas and electricity used to be available people are reverting back to using biomass as their main fuel source. In Tajikistan since 1991 the incidence of acute respiratory infection, the world’s greatest child killer, has risen by 35% largely as a result of burning wood indoors. Inefficient biomass stoves also force people (again, most often women) to spend much of their time collecting fuel. The environmental degradation caused by biomass stoves is equally problematic. When wood is used as a primary fuel, inefficient cooking methods lead to large-scale deforestation, soil erosion, desertification and emissions of greenhouse gases. Billions of people would lead a healthier life if their exposure to lethal levels of smoke were reduced. Public awareness of the health risks of smoke is a crucial first step. The most effective way to reduce smoke in the home is to switch to a cleaner fuel, such as liquid petroleum gas (LPG), kerosene or biogas. However, the vast majority of people at risk are too poor to change to a cleaner fuel, or have no access to modern fuels. In these homes, the answer will be to reduce exposure, for example by using well designed energy efficient cook stoves, or smoke hoods which can reduce indoor air pollution. Cooking is a deeply cultural and domestic task and communities themselves, particularly the women, must be directly involved in developing solutions that suit their circumstances. A majority of us will be familiar with the Conference of the Parties (COP) international climate change talks that take place every year (i.e. Copenhagen, Durban, Doha, Warsaw, and Paris in 2015). 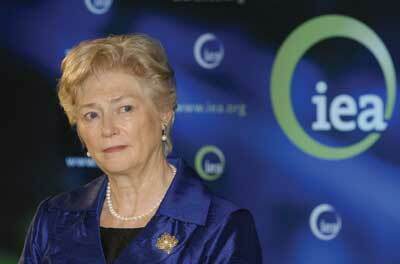 Not widely known is arguably the most important COP decision ever came at COP 1 in Berlin in 1995. It was called the Berlin Mandate. It resulted in the principle of Common but Differentiated Responsibility (CBDR) being cemented into the UNFCCC framework. CBDR directs developed countries to the lead in process of mitigating climate change. Under CBDR, Annex I (Developed) countries that have cumulatively produced (and benefited from) emissions that created climate change, bear a disproportionate burden to solve the problem. The resistance of some developed nations (chiefly the US, Canada, Russia, Australia) to any deal that does not break from current CBDR status (i.e. including emission reduction commitments from non-Annex 1 countries) is perhaps the main roadblock for a successful international climate change legal framework going forward. In the run up to 2014 COP in Peru and more importantly Paris 2015, it is important to investigate whether the concept of CBDR is still an equitable way of dividing the countries of the world around climate change commitments especially focusing on limiting average warming to 2°C or the carbon budget that gives us a “coin flip” chance of achieving this legally binding target (agreed in Copenhagen Accord 2009, and Camp David Declaration 2012). So how important is the concept of historical responsibility? While also being across nations, could a division of CBDR be based within nations, or across national populations? Can CBDR help us to understand who the high carbon emitters are? [The following analysis is broadly based on work led by Kevin Anderson from the UK Tyndall Climate Change Centre]. There are 7.125 billion in the planet in 2014 (UN, 2014). The interesting question is how many of these 7.125 billion people would need to make substantial changes to their lifestyles and level of greenhouse gas emissions in order to avoid warming greater than 2°C? It is interesting now to consider Pareto’s 80:20 rule. This rule states that 80% of something relates to 20% of those involved. This is a surprisingly useful and robust rule of thumb. In the context of climate change this would mean that 80% of emissions (40 Billion tonnes CO2e per annum) derives from 20% of world population (1.425 billion people). As well as across nations (for instance Developed vs Developing) Pareto’s 80:20 rule also holds within nations (wealthy vs poorer people). Overall the Tyndall Research Centre have found that 40-60% of world emissions comes from approximately 5% cent of the world population. Admittedly, this is very rough calculus; but it provides a broad and practical guideline. Resulting from this analysis we understand that the bulk of carbon emissions come from a small percentage of the world’s 7 billion people. This most likely comes as no surprise to you. Yet, in the West (Europe, North America) one often hears statements such as ‘Oh yes, but the Chinese are becoming rich, everyone wants a fridge and a car…’. It is true that people want (and moreover deserve) these things. There are however two major misconceptions about common but differentiated responsibility and Chinese development in the context of climate change. This analysis highlights that carbon emissions from an average Chinese person’s lifestyle are only 18% higher than the global average, are 36% lower per capita than those of a typical European and just a third of the emissions from a US citizen. The lifestyles of UK, German and Japanese citizens emit, respectively, 110%, 90% and 70% more carbon than do their Chinese counterparts. Even with widespread low carbon nuclear energy, French emissions per capita are still over 35% higher than those of an average Chinese person. Secondly, by the time the mode person (not the mean) – mode being the ‘normal’ person in China, has obtained a car or a fridge, a dramatically overhauled low-carbon energy system would already have to be in place in order to limit global temperature rise to below 2°C. It will take China 20 or 30 years, even at 10% annual growth rates (2013 GDP growth rate was 7.6%), to get its mode population to that level. Essentially this means that the poor cannot move fast enough to affect the basics of the maths for 2°C warming. It seems logical then to ask; Are we the wealthy ‘few per cent’ – principally, the developed countries of the world sufficiently concerned to pass the necessary legislation and make substantial personal sacrifices and changes to our lifestyles now in order to safeguard the planet for the rest of the population and future generations? Since we know who needs to change, could policies be aimed specifically at the “few per cent” that are currently emitting significantly and disproportionately as part of an equitable international climate change regime? This requires vast political mobilization and an unprecedented step change on the scale of which we have not seen historically but could it also offer policy makers hope in realising actual emissions reductions, something they have consistently not delivered. Overall, if the global community is serious, in its repeated commitment to ‘stay below a 2°C temperature rise’, the mitigation challenge for all nations will be extremely demanding. Mitigation needs to be delivered first in the US, the EU and other wealthier nations whose citizens typically live higher-carbon lifestyles, with China, India and other parts of the developing world only following suit much later. 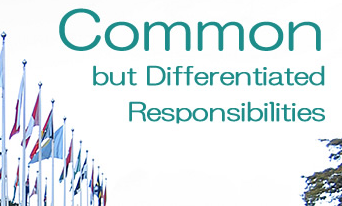 We cannot abandon the concept of Common but Differentiated Responsibility however tempting and politically palatable it may seem.